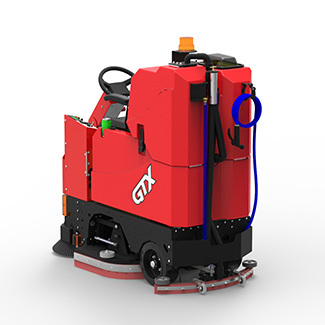 The GTX Rider Scrubber-Sweepers are tough, compact scrubbers that offer the great productivity of Rider machines but with better maneuverability than Walk Behinds. 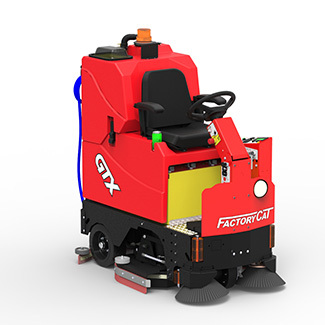 The Factory Cat GTX Rider Scrubber-Sweepers have a powerful drive motor that can climb steep ramps and comes standard with heavy duty tires. 24-inch Width - 26,400 sq. ft./hr. 26-inch Width - 28,600 sq. ft./hr. 27-inch Width - 29,700 sq. ft./hr. 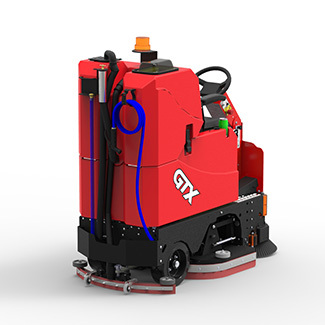 30-inch Width - 33,000 sq. ft./hr. 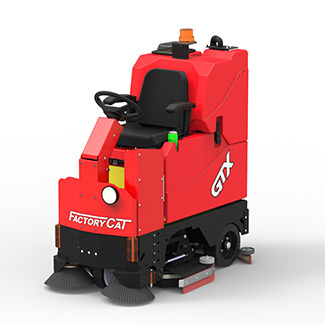 34-inch Width - 37,400 sq. ft./hr. 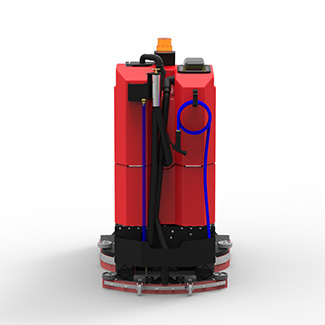 Tip back tanks allow for nearly unrestricted access to filters, valves, the vacuum, batteries, and actuators.